Copies of photographs added to the respective main collections during February 2017. Please remember that all photographs in this and other collections are the copyright of myself and therefore should not be published elsewhere without permission (See main front page). 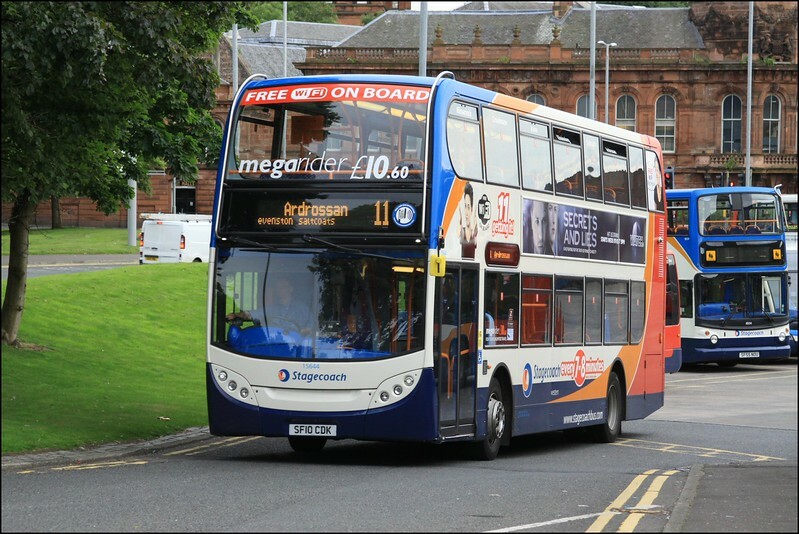 Stagecoach Western Alexander Dennis Enviro400 bodied Scania, 15644 (SF10CDK), climbs the incline out of the bus station whilst operating on route 11 to Ardrossan - 2 September 2015.